Last month, at CSCMP in Atlanta, BluJay’s Jeff Potts and Uber Freight’s Bill Driegert co-presented to a about the future of freight procurement and how together, BluJay and Uber Freight will take the freight industry into the future. But before sharing how BluJay and Uber are working together to change an industry that is facing an unprecedented level of disruptive forces (economic, political, environmental), it’s important to look at how the industry currently operates. 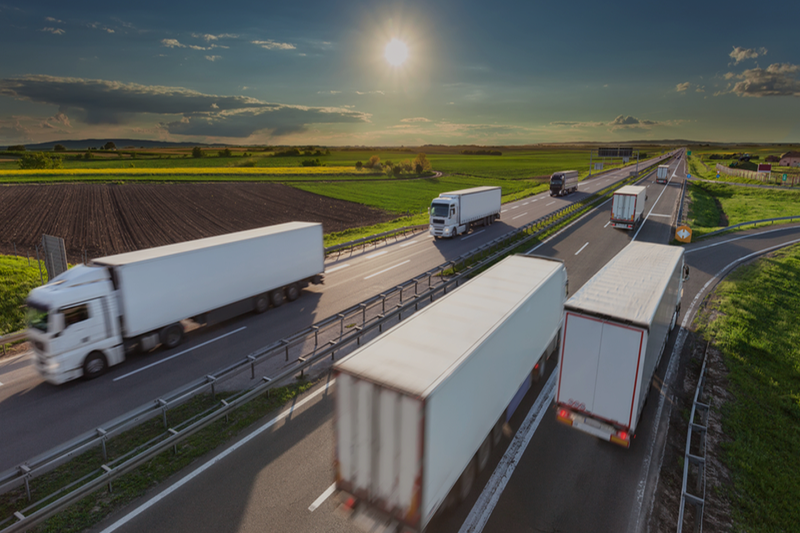 In general, the freight industry is still defaulting to slow, inefficient legacy systems where most negotiation and procurement is conducted manually, relying on a pre-existing, closed network of partners. Even within this “static” approach, on average, it takes 20 phone calls and one hour to book a single spot load. Not to mention, fax, landline phones, and email still dominate communication between a predetermined universe of shippers and fleets. Adding to the pressure is that most shippers are outsourcing their logistics. According to Frost and Sullivan, 90 percent of Fortune 500 companies are using 3PLs as compared with 46 percent 15 years ago. When you combine these two factors, it points to an industry where the need for outsourced freight services are increasing, yet the organizations that provide the service are creating their own barriers to being able to act in a flexible, on-demand model. Enter BluJay and Uber Freight, to break new ground on how to address the issue. BluJay’s Global Trade Network (GTN) is a flexible, on-demand network that brings together a large ecosystem of 7,500 customers in 100 countries, including shippers from small owner-operators to large fleets, into a single-instance transportation management platform (TMS). Meanwhile, Uber Freight is built on the strengths of Uber, which has matched drivers and riders on six continents, in 500+ cities, for more than two billion rides. Uber Freight lets carriers and their drivers tap a button and book a load, dramatically simplifying the process of matching available loads with carriers and improving the experience for drivers. Happy drivers means happy shippers. With Uber Freight, BluJay is bringing real-time execution and the strength of Uber Freight’s technology and carrier base to its partners. Interested in learning more on this topic? Watch Jeff Potts’ Talking Logistics interview with Adrian Gonzalez.